The Marketing Department is in charge of selling Perenco's oil and gas production. From collecting information, which is indispensable to anticipate market and clients’ needs and trends, to negotiating, which requires relational skills but above all a full understanding of the functioning and stakes of the sector; our objectives are to maximise the selling price of our production while managing the risks associated to the sale of crude and price volatility. To achieve this we need to broaden our relationships with new consumption regions and develop innovative partnerships. Upstream, our mission is to anticipate and influence the quality of our crude. To do so, we work with all the company operational departments and with pre-project.The crude we produce has fundamental characteristics defined by geology. It can only be modified in a refinery, however we can always choose to mix different qualities of crude from different fields, or decide to improve crude characteristics through an adequate process. We can also work on the minimum specifications of the terminal, which permits to optimise logistics to target the natural market of the product and thereby improve its selling price. 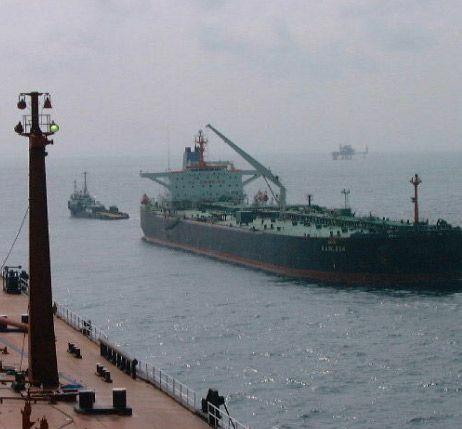 For example, by installing loading buoys on two of our African terminals, we have been able to access the Chinese market by VLCC (Very Large Crude Carrier) and significantly improve the differential of these crudes thanks to shipping savings - at a time when the historical market of these crude (Atlantic Basin) was closed because of new competing products. All of our crude products are very accurately modelled in order to simulate their profitability in each refinery throughout the world, depending on the local price of by-products and installations. This allows us to target buyers and estimate potential purchasing prices. Our crude must therefore conform to the specifications we communicate to the market. Should a modification ever occur we have to anticipate, simulate and communicate these changes so as to preserve the crude reputation and thereby its value. In the event of a significant change in quality, we are forced to consider new markets. The qualities of our crudes reflect our often mature, varied or even scattered oil fields; they are very different and often niche in the market. As a consequence we have a very wide range of clients throughout the world, many of whom are specific to each type of crude. Today, Perenco works with one hundred different clients, one third of them being regulars. Their profiles can vary a lot. We work with all the large integrated players (majors) as well as with all the large trading houses. But most of our production is sold to refiners. Our commercial approach is also open to new players who show an innovative approach. At Perenco we mainly operate via call for tenders in order to be fair and maximise competition. Most of our contracts are "spot" to promote flexibility and stick to the market but we can also have term contracts if they create value, for example on niche crudes. We also optimise the planning of liftings with our subsidiaries by taking their production estimates into account, in order to increase their value. Together with our clients, we can successfully optimise their shipping costs by reducing their waiting times for vessels or by avoiding to deliver charges while a refinery is carrying out maintenance operations or finally by selling during the period that best promotes the price according to the market structure at that time. 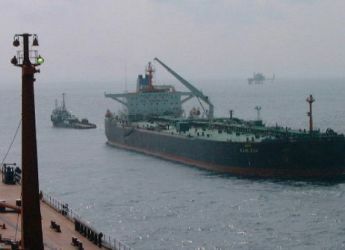 The Marketing department also works on the sales of gas and LNG, on risk cover (hedging), attends regular meetings with the States to fix the tax prices of production-sharing contracts and if necessary may be called on transversal topics such as the trading aspect while evaluating potential new acquisitions.